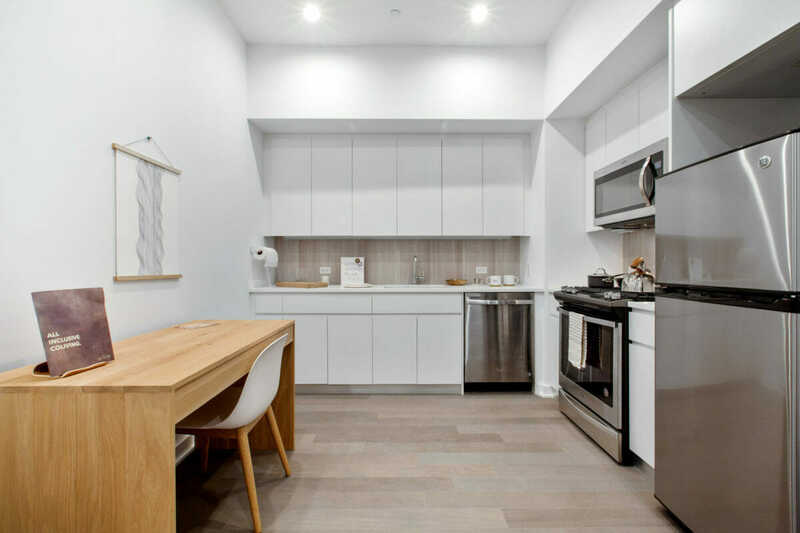 Long Island City’s first ever co-living rental, ALTA+ by Ollie boasts attainably priced luxury micro apartments outfitted with hotel-style amenities. Located at 29-22 Northern Boulevard, ALTA+ is nestled in the heart of Long Island City, just above the E, M, and R subway entrance at Queens Plaza. 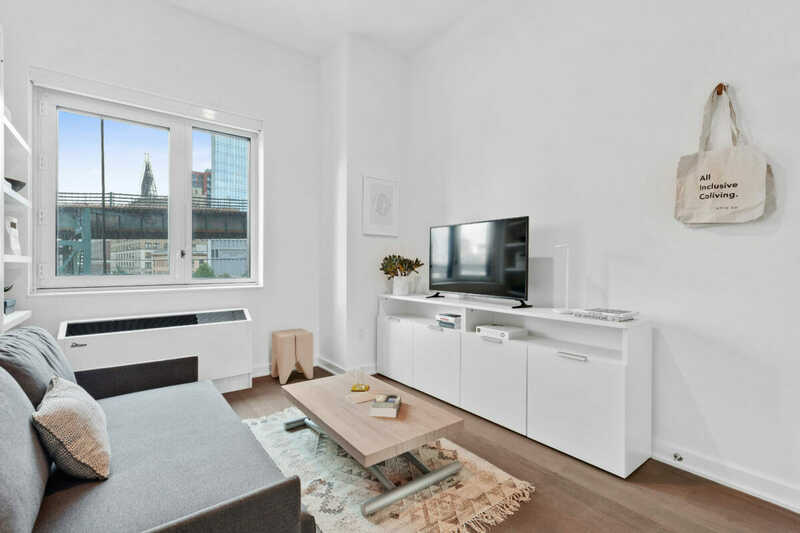 In this quickly expanding and increasingly desirable neighborhood, the co-living community at ALTA+ has provided a creative solution for New Yorkers at a time when space comes at a high premium—but without sacrificing quality and comfort. At over 40 stories tall, this tower features 2- and 3- bedroom micro-suites with fully furnished private bedrooms, including options with ensuite bathrooms (and deep soaking tubs). Other notable features include oak wood floors, modern stainless steel kitchen appliances, and in-unit washers and dryers. 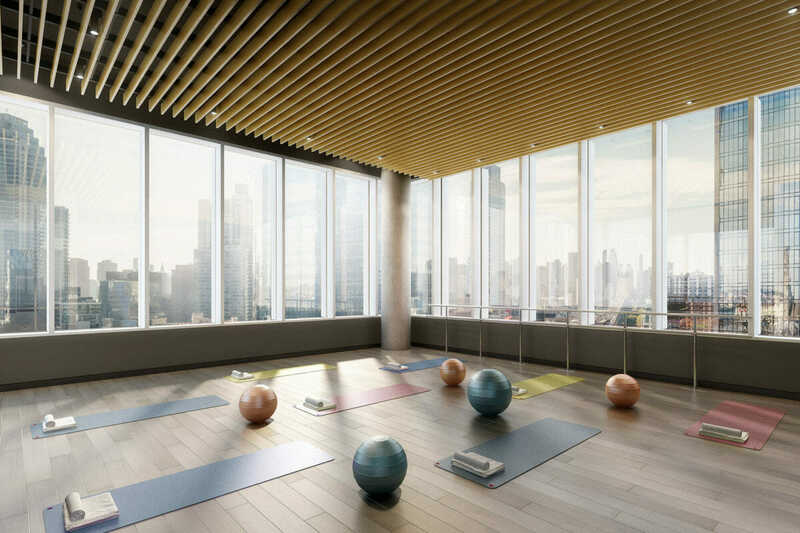 Designed specifically with community in mind, these high-end residences come with an impressive catalog of building amenities—including 27,000 sq. ft. of communal space dedicated to engagement, entertainment, health and wellness. Featuring a communal lounge with party kitchen, game hall, co-working area, and even a complimentary Ollie Social membership for group weekend getaways, ALTA+ combines all the best features of apartments, dorms and upscale hotels to create a truly unique urban rental offering. It is no wonder why, then, that ALTA+ is already 50% leased at a mere 10 weeks in. 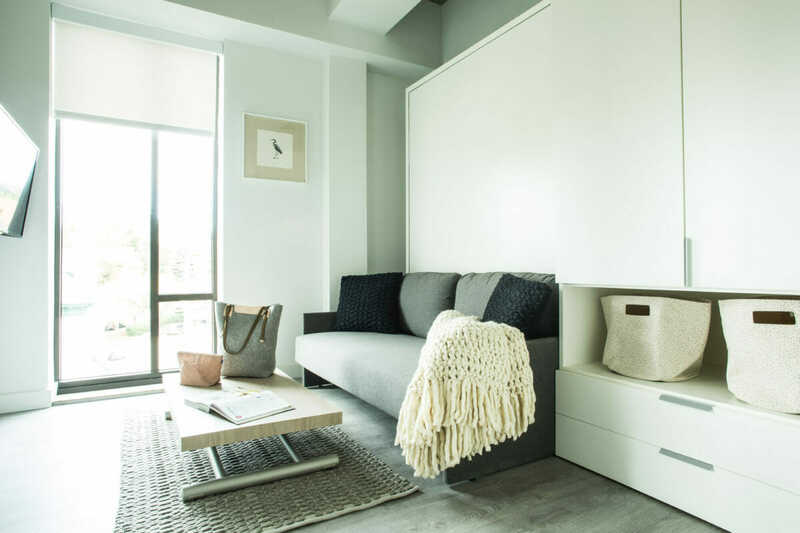 The freestanding, vertically opening Penelope 2 Sofa wall bed features a 2-seat sofa and queen-size bed—remove the back cushions from the sofa before folding down the unit, and in one easy transformation a bedroom is seamlessly transformed into a contemporary living area. In other units, you will find the Swing; this queen-size wall bed has a 3-4 seat sectional sofa and sliding chaise. When closed, the unit features a built-in storage shelf that remains level with the floor, even when the unit is folded open to reveal the bed. The height-adjusting Genie coffee table has a minimum height of 4 inches, allowing it to easily slide under our wall beds when extra floor room is needed. But with a quick switch of a lever, the Genie gently rises to full dining table height. This is our largest contract project to date and represents a thoughtful innovation in rental housing. We are extremely proud to be a part of it! 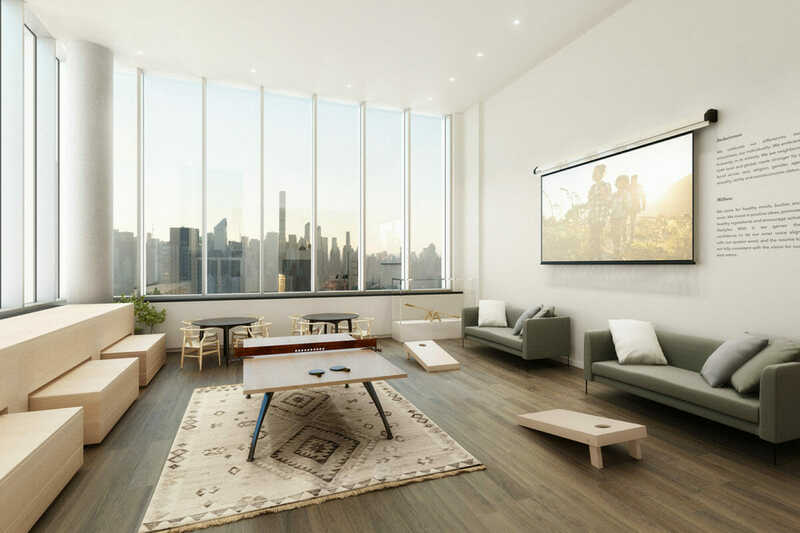 Long Island City’s first co-living rental, ALTA LIC, has launched leasing on a handful of its 467 rentals. 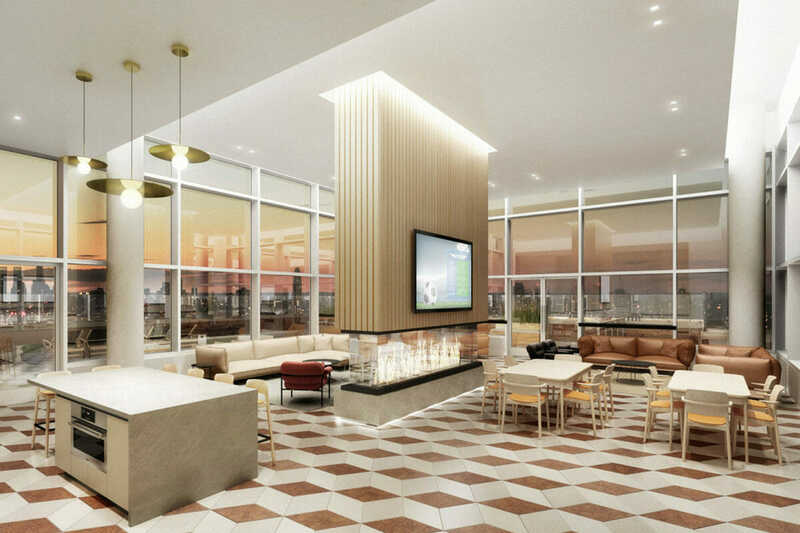 The 47-story building, developed by Simon Baron Development and Quadrum Global, offers a mix of studios through three-bedroom rentals and the majority of co-living suites are two-bedrooms. The building consists of 297 private residences on its uppermost floors and a number of shared “microsuites” on floors two through 15 that were created and will be operated by Ollie, the same “all-inclusive living” firm behind the amenity programs at Carmel Place. There are currently two studios, three one-bedrooms, and two two-bedrooms on the market with net effective rents ranging from $2,375 to $4,150/month. As for the co-living units, there are four units, two of which are two-bedrooms while the other two are three-bedroom/two-bathrooms. Rent on these units go from $3,224 to $5,317/month. Among the building amenities are a 10,000-square-foot wellness center named the ALTA+RETREAT, a coworking lounge, game hall with stadium seating, a communal lounge with a party kitchen, a landscaped roof deck with barbecue stations, and an ALTA+ PET CLUB with pet services managed by Throw Me a Bone that include dog-walking and a full grooming salon, among other services. A version of this article originally appeared on Curbed NY.